GATHER: Movies in the Park inspires communities to dine together and share fun experiences all under the canopy of a warm summer evening. 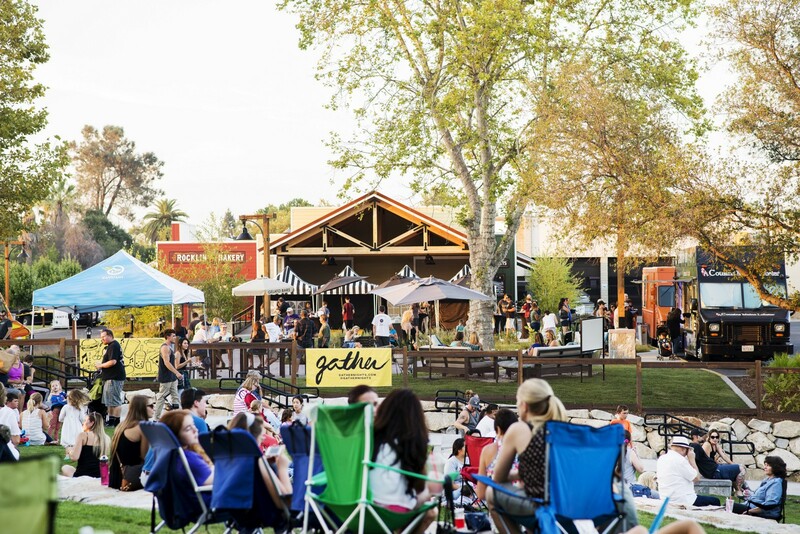 Last year, the GATHER concept expanded to new neighborhoods outside of its flagship GATHER: Oak Park community get-together, which hosts live music, food trucks, and craft vendors each summer. Now in its second season, GATHER: Movies in the Park, hosts outdoor family-friendly films in rotating parks throughout the Rocklin area from May to September. With its picturesque views of Quinn Quarry Pond and tall, surrounding trees, Quarry Park located on Rocklin Road, will host the final GATHER: Movies in the Park this Friday, Sept. 21 at 5 p.m. with a showing of A Wrinkle in Time beginning at 8:30 p.m. to toast to the end of summer. Attendees can expect to see familiar food trucks and artisans such as Snowy King, Crumb Pies, Cousins Maine Lobster, Ash & Oil and Cecil’s Taste all serving up tasty bites for the entire family. Before the movie starts, be sure mom or dad follows the aroma of freshly popped kettle corn from NorCal Kettle Corn that offers delicious savory and sweet varieties from traditional Chicago-style to its colorful Crunch Berry flavors. 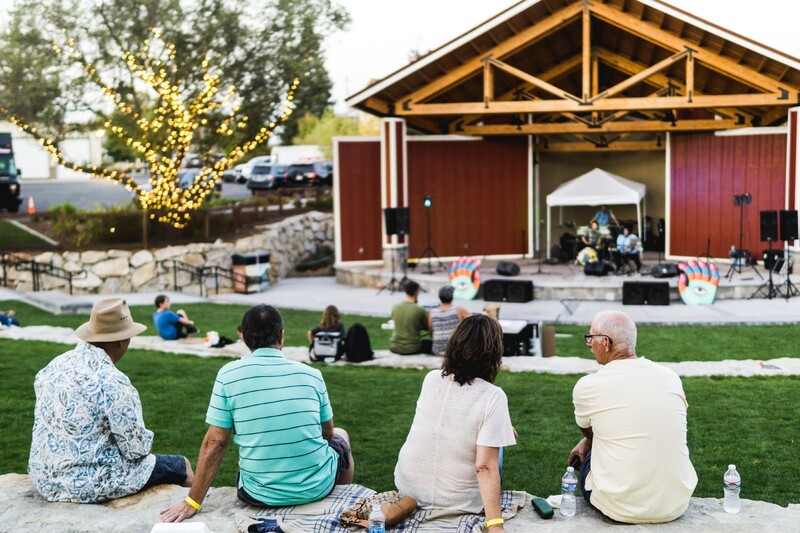 To make the last GATHER: Movies in the Park even more special, the City of Rocklin is celebrating its 125th anniversary as an official city and will unveil its community art project Off the Rails. More than 20 local artists applied to participate in the open-air exhibition according to Monica Nitz, marketing and developmental specialist with Rocklin Parks and Recreation. In the end, five artists were chosen to decorate and transform 3-foot-tall mining carts made out of sturdy fiberglass that will be displayed throughout the Quarry District adding pops of color for the public to appreciate. The history of Rocklin is embedded in the many quarries located in the city and a lot of the granite that was excavated from its grounds was actually used in some of the major pieces of the state Capitol building. The mining carts represent Rocklin’s past, but with a new artistic point of view city officials also hope this communitywide project will best represent the direction of Rocklin’s future, as a city that continues to grow with its residents. GATHER: Movies in the Park begins at 5 p.m. on Friday, Sept. 21 with a showing of A Wrinkle in Time at 8:30 p.m. in Quarry Park, 4000 Rocklin Road in Rocklin. The City of Rocklin will unveil its Off the Rails public art project during the event at 6:30 p.m. For more information visit, www.rocklin.ca.us/event/gather-movie-park.